Property 12: Casa buena Vida, spaciouscolonial.,central location,pool. Property 14: Beautiful Colonial Home Close to All Amenities. Property 27: Spectacular Island Retreat with Pool and Tennis nestled in a tropical setting. Property 28: An exclusive Private Island where Western elegance meets Nicaraguan magic. Property 45: A home away from Home!!!! Beautiful Guest House right on the Laguna de Apoyo! 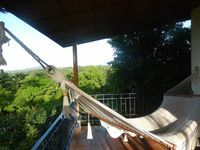 Property 50: Beautiful Guest House right on the Laguna de Apoyo!